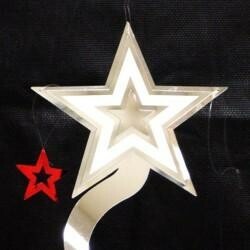 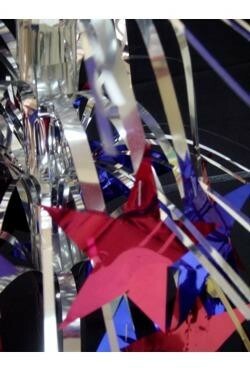 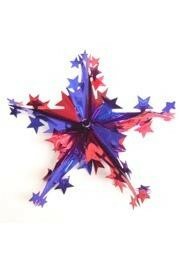 A metallic red, silver, and blue foil star decoration. 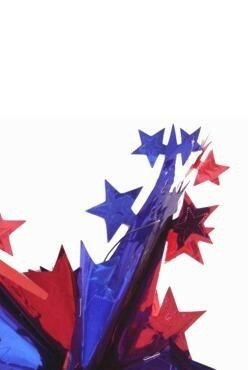 This is perfect for Patriotic themed party and float decorating. 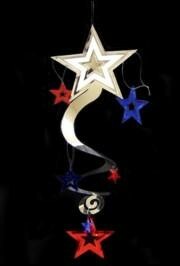 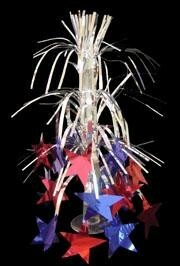 A red, silver, and blue patriotic mobile with cascading stars. 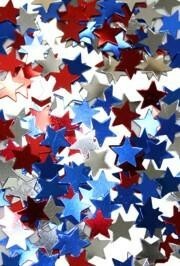 This is great for Patriotic themed party and float decorating.